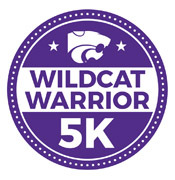 Friday, May 10, 6:30 - 7:45 P.M. / room available at 5:30 P.M.
Manhattan Public Library, 629 Poyntz Ave.
From Jason Johnson, KBØEOD: For the the second consecutive year MAARS is being asked to support the KSU ROTC, sponsored Warrior 5k Run on 27 April, 2019. It will take place along the same route and location as last year. If you were not able to help last year and are unfamiliar, the location is the Kicker Country Stampede concert and camping area, below the Tuttle Creek Dam. Not only is this an opportunity for Amateur Radio operators to stay involved and support community events, but we have the rare privilege to work with young adults from KSU who are taking an active role in supporting the USO through the Wildcat Warrior 5k. Last year $2000 was raised and was donated to the Fort Riley USO. In 2018, we had 6 amateur radio operators located at key points along the route, relaying real-time information to Race Net Control on the status of all participants; first male, first female, first youth etc. from the beginning of the race to the very end, providing the Race Director with situational awareness along the entire race route, and in the event of a medical emergency, could call EMS and first responders to a specific location. Please e-mail me with your commitment to volunteer to support this event. A hard time for radio operators to arrive at the assembly area will be adjusted following planning meeting. From Ryan Benteman, ADØTZ: With the warm seasonal weather, it's now time to start thinking about hunting those pesky foxes! Watch the MAARS e-mail for more info closer to the event. 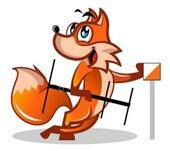 We'll have the first of the MAARS 2019 Fox Hunts on Sunday, April 28th at 3 P.M. in the Manhattan area. This will try for a two-transmitter fox hunt again. Find the first fox to get the frequency for the second transmitter. I am not planning on having an antenna build day again, but I still have at least 5 "kits" for the 2m tape measure beam. They are the tape measure portions, with the PVC fittings and sections cut to length. You supply the radio coax hookup. They also include a set of instructions. The materials were purchased by me, and the cost per beam is around $10. Donations are accepted for a kit, but not required. Get in contact with me if you need one to join in on the fun. I can supply a length of RG-8X coax, but I can't supply ends to hook up to your radio. I believe 2 are spoken for already. If you've expressed interest in one, please reply back to benteman@gmail.com, so I don't forget anyone. I will have them in my vehicle with me, so you can meet up with me and I will get them to you. You can also use them to receive the SSTV from the ISS. About 10 miles north of Manhattan is a boot and western wear store. It used to be called RB Outpost, but now it's just The Outpost. It's owned and operated by the Buchanan family and I've known them for many years. With their permission I have installed an antenna mast there, and will be conducting many various experiments in the coming months & years. Everyone is welcome to join in on the testing and learning. It's a great site -- middle of Riley County and pretty high up and easy to access. Based on elevations from Google Earth, the ground elevation there is about 66' higher than the ground elevation at the current MAARS repeater. Of course, the MAARS repeater is much higher up the tower than my antennas will ever be. The mast I'm using is the 33' tilt-over from Myron Calhoun, which makes changing antennas easy, which is good because I have a lot of antenna changes planned. The antenna currently in use is about 45' high. For the moment I'm referring to it as the RB-TTL site: RB for the old store name RB Outpost and TTL for "Test, Tune, Learn". The most important thing I can say about this site is that it should never be considered as infrastructure. By that I mean this: don't rely on it. It's not there to be a primary or a backup of anything. It's there to learn and nothing more. I'm documenting the configurations and tests at http://KB0AZJ.com. When I make updates there, I'll send an e-mail to this list. Everyone is welcome to check that site out for the current configuration, to test the current configuration, and to email me reports at Farren@ComputerShed.com. The current configuration is a VHF/UHF bi-directional cross-band repeater. Frequencies are 146.460 and 446.025, and both are simplex, and no tone is required. You can transmit on either band, and it will repeat on the other band. If you have a dual-band radio, you can listen to yourself if you are within range. If you turn the volume up too high, however, you'll get audio feedback. So far it's worked from almost to Marysville to the north; to Dwight to the south, and Junction City to the west. None of us have been east yet. More detailed reports are on the web site. Please send me your reports! Future planned (and hoped for) configurations will be packet (not APRS) on VHF, "something" on the 220 band, and a UHF repeater that will eventually have one of the MMDVM modems on it so it can be used as a Fusion, D-Star, DMR, or other digital voice repeater. I already have a second site selected where I can install more equipment so someday I hope to learn about linking repeaters. More details are on the web site. This isn't just for me to learn -- I want to share what I learn and I want others to be able to learn as well. I'm open to ideas for configurations and tests. I'm open to installing other equipment. I'm open to showing others what's going on. However, a full-club field-trip might not be appreciated by the Buchanans. And right now, there's really nothing to see. I will put photos on the web site, however. If I do anything worthy of showing, I'm open to doing a show-and-tell at a club meeting someday. I have made repairs to the radio and PA for the Echo link server. I have made some changes on how to access nodes, should you want to DTMF a Echo link node. You must enter 1*, then your Node number. We were having trouble with other DTMF codes being broadcast on the KLINK that made a connection on our Echo link server. By adding in the 1*, this should help resolve this issue. Remember, ECHO link is a no-tone operation, so should you connect with someone calling CQ via ECHO LINK, please disengage your tone. Enjoy. The Manhattan, Kansas Amateur Radio Society (MAARS) was formed on July 7, 1976. The purpose of the club is to advance amateur radio in the Manhattan area. Since the beginning, the club has been active in different aspects of amateur radio, packet radio, satellites, community activities, ARRL Field Day, and amateur radio classes. Also, many club members have been very involved through the years with emergency communications and storm spotting. The club operates under the authority and guidelines of our Constitution. To learn more about a committee or to volunteer, please contact the president. Meetings are now in the Manhattan Public Library, 629 Poyntz Ave., on the usual schedule of second Fridays. Check Upcoming Events below to confirm details for the next meeting. All amateurs (technician and above) are welcome to check in. Following the net, we have the swap net. You can buy or sell any items found in the shack. On-air negotiating is not permitted during the swap net. Members who would like to try being net control can e-mail Ryan Benteman benteman@gmail.com, or Jim Foster fosterium@gmail.com. Located 1.5 miles south of Manhattan, Kansas, the MAARS repeater is at the KSDB site near K-177. The controller is an S-Com 7K. The repeater runs 10 watts output to a commercial antenna at 110 feet. Coverage as far east as Topeka and as far west as Abilene is common. The input frequency is 147.855 MHz, and the output frequency is 147.255 MHz. The repeater callsign is KSØMAN. The repeater is an open repeater, and may be accessed by any properly-licensed amateur. Users of the KSØMAN repeater should be familiar with the autopatch procedures and other guidelines. KS1EMS 147.315 + open 162.2 Ft. Riley / J.C. The HyVee Cafe is becoming a Saturday event for local amateurs, reports Jason Johnson, KBØEOD. There will be two foxes. Find the first fox to get the frequency of the second. Watch the MAARS listsserv and right here for further details. Ryan Benteman, ADØTZ, says, "I am not planning on having an antenna build day again, but I believe I do still have 2m beam tape measure kits that I made up from last year still, so get in contact with me if you need one to join in on the fun." Friday, May 10, 6:30 - 7:45 P.M.